The new arrangement, pending ratification by the South Korean parliament in April, would increase Seoul’s share of the cost by a little over 8 percent to $924 million in U.S. dollars. 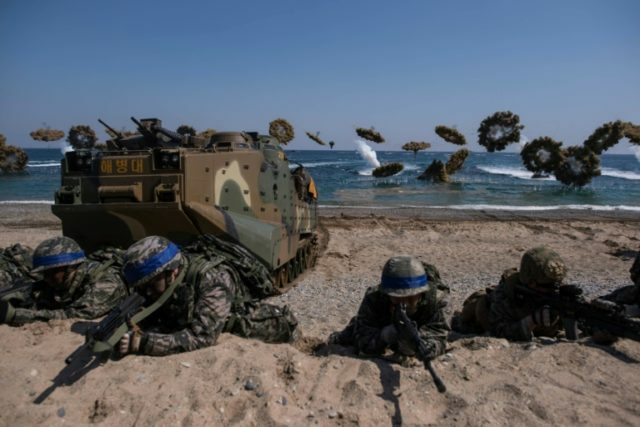 “It has been a very long process, but ultimately a very successful process,” South Korean Foreign Minister Kang Kyung-wha said of negotiations with the Americans. South Korea resisted increased spending but was concerned President Trump might put U.S. troop withdrawal on the table, or offer to scale back joint military exercises with the South even further, when he meets with North Korean dictator Kim Jong-un in Vietnam later this month – especially if the second Trump-Kim summit paves the way for a formal declaration of peace in the Korean War. South Korean officials also worried that local workers might lose their jobs if the U.S. decided to cut costs at its military facilities. President Trump stated last week that he has no short-term plans to withdraw U.S. troops from South Korea but left the possibility open for the future.